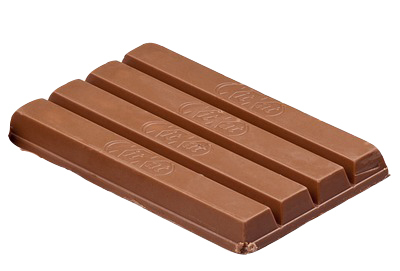 Nestlé’s argument had been that the shape of the KitKat had acquired a distinctive character and that, when presented with the chocolate without wrapping, consumers could easily identify it as a KitKat. Cadbury, however, argued that this did not designate the KitKat shape as eligible for trade mark as consumers had not come to see it as an indication of origin. The court’s ruling was that the shape was not the thing on which consumers relied in order to confirm that the chocolate was KitKat. The fact that the bars had KitKat stamped into the chocolate did not help Nestlé’s case, nor did the fact that there had been around since 1937 a very similar four-finger chocolate bar from Norway, called Kvikk Lunsj from Norway, which was available in parts of the UK. This ruling is important as it essentially opens the way for other manufacturers, including supermarkets and other confectioners, to manufacture four-fingered KitKat copycats without fear of reprisals from Nestlé. Nestlé said they would be considering their next steps. They pointed out that the four-finger shape had been granted trademark status in many other countries around the world, including Germany, France, Australia, South Africa, and Canada. The case itself turned on the fact that the shape of KitKat is not distinctive enough, but this doesn’t mean that protected ‘shape marks’ have not happened before. Toblerone, for instance, has successfully trademarked it’s ‘zigzag prism shape’. Interestingly, Toblerone is owned by Mondelēz, the American firm who own Cadbury. We hope you found this information useful – let us know by getting in touch on what you’d like to learn more about, or what you found most interesting!